Premium Classic Edition (Classic Edition logo on both sides, 3D domed chrome Princecraft decals on both side and front door, LED lighting under driver console, deluxe driver seat, upgraded steering wheel, chromed docking lights, horn, housings, cup holders). 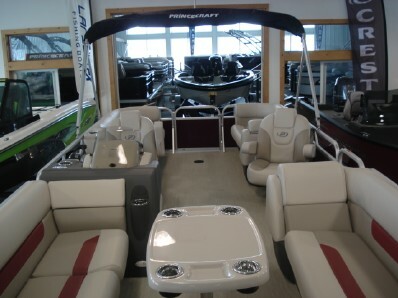 North American Package (Select grey vinyl floor covering, stern snack table, console door, mooring cover, raised rail, and battery switch). $$26,998.00 I want to know more about this boat.